Knowing nothing about this limited edition RMK Basic Skincare Kit, or its release date (except that it was released this year), I saw all the travel-sized products were chocolate mint scent; thus, I was sold. Retailing for 2,700 yen, the Basic Skincare Kit comes with: Cream Soap (facial cleanser), Skintuner Smoother Moist (lotion/toner), Herb Mist, and Lipstick Balm. All these products are available in full size in the RMK Skincare line. 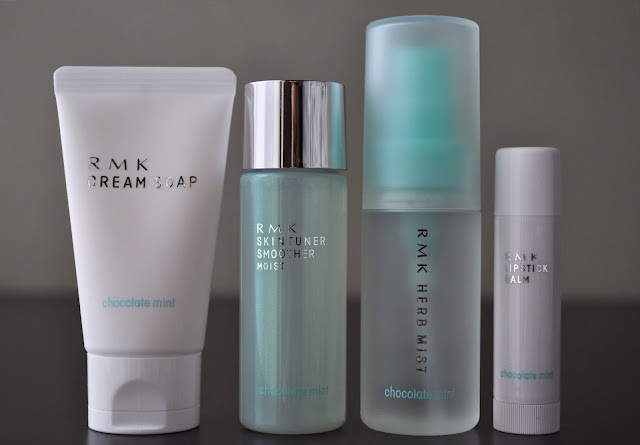 I wish RMK would keep the chocolate mint scent because it is incredible! All the products smell like the delicious Keebler Grasshopper Cookies (making my mouth water). Every time I use these products, I want to eat them. Now, I have a hankering for Grasshopper Cookies, but no way to get my hands on a bag. If anyone wants to do a Japanese beauty-for-cookies swap, please let me know...I'm serious! All the products are great, and the kit is a nice introduction to those who may not be familiar with the brand's skincare line. Also, they're great for gift giving, and the mini-sizes make this kit perfect for travel or throwing one in your bag for on-the-go use. 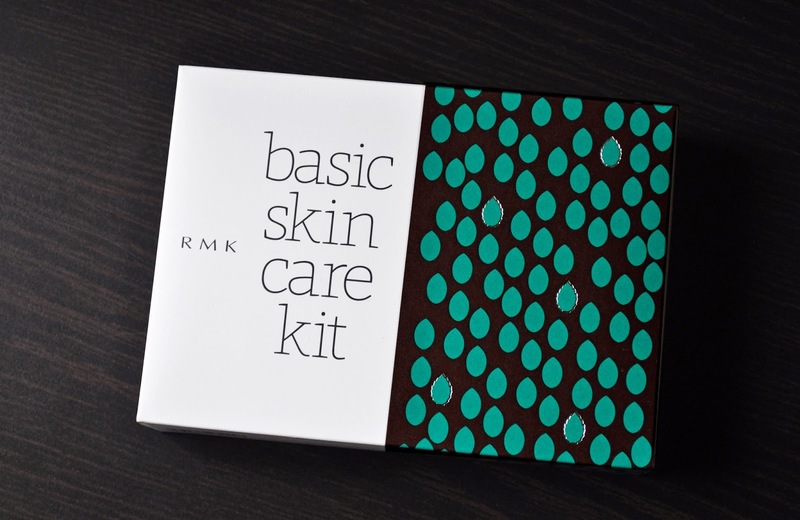 I got the RMK Basic Skincare Kit at the Isetan Mirror in the lumine Shinjuku Store. I was there a week ago, and they still had several boxes... I may need to pick up some more. I can try to hook you up with those cookies! I hate it when I have a craving and can't get a hold of what I want. Just let me know. Hey Susan! I don't know why, but I'm not getting email notice of comment on the blog for the last four months. I'm having to go through all my posts. I would love a care package of Grasshopper cookies :) Do you want something from Tokyo?